This post almost has me depressed. 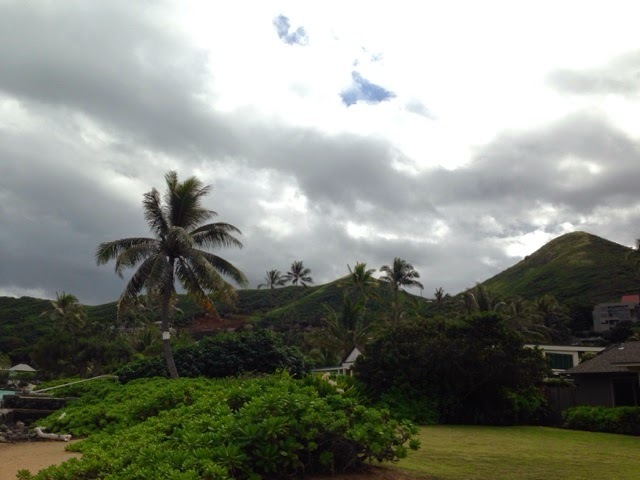 Going to Hawaii was an amazing vacation, and now that we have been in the stress of work for a couple of months again I am SO ready to go back. 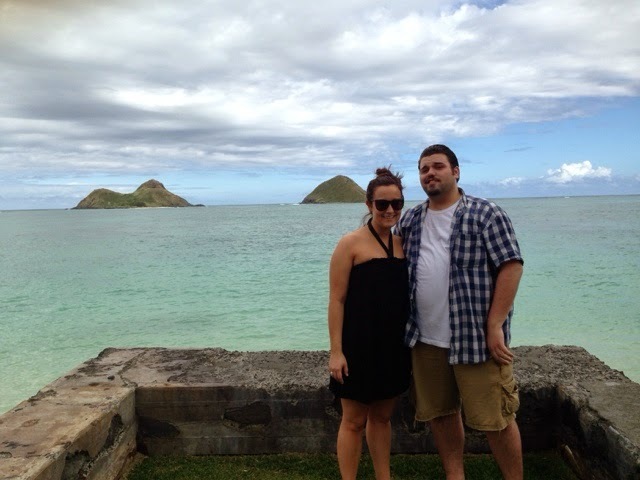 We vacationed in Lanikai, on Oahu. I will probably say this a million times, but it was seriously the most beautiful place ever. We went with Dave's family and shared a rented house. It was walking distance from the water, so we were pretty much there every day. While we were there I got to swim, snorkel and kayak. Dave isn't a water baby like me, so he stayed on the deck and read. The reason we went was for a family wedding. Dave's cousin got married at her aunt's estate there. 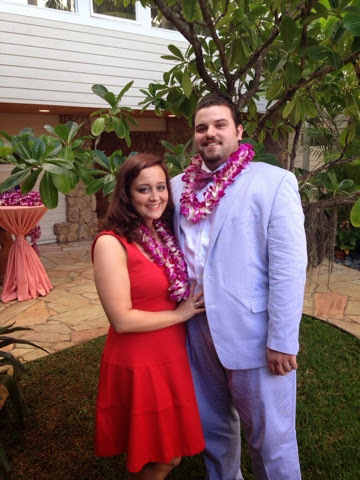 The ceremony was gorgeous, and the reception was the most fun. 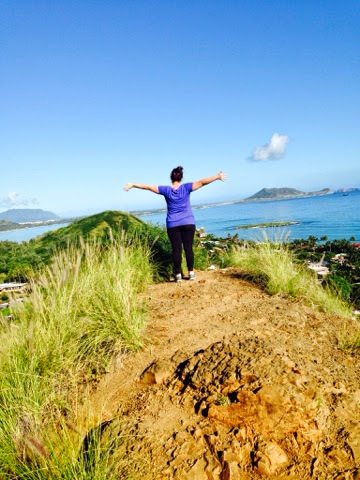 One morning we did the Lanikai Pillbox Hike. It was definately a work out, and there were some moments that were a little more climbing than walking. But the views were so worth it. At the top of the hike you overlook the "Moks" or Mokaluas, the two islands that you can see behind us in the first picture. Being able to see people surfing, the tide, and where the water gets deep. 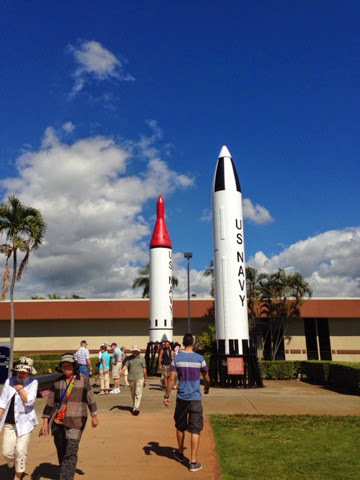 We visited Pearl Harbor, and the aviation museum there. Dave loved looking at all the planes, while I'm more of a history person. 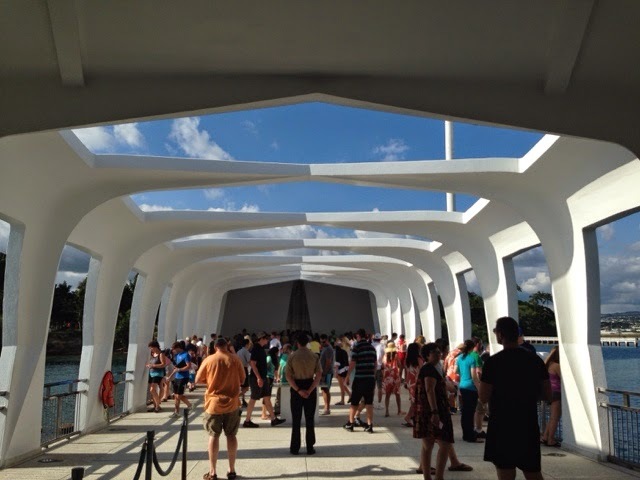 We visited the USS Arizona memorial, which was very sad. I don't think many people remember that it is a grave site--You could tell that they didn't understand the significance at all. On a lighter note, Island Snow. A snow cone with ice cream in the bottom. 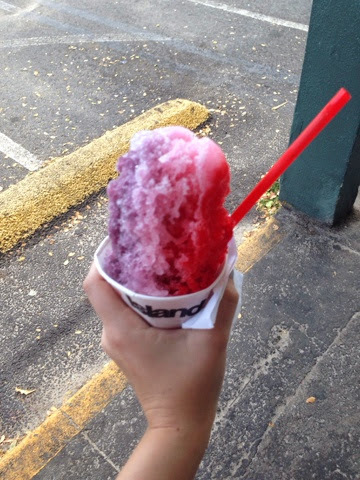 My flavor was "nerds" (cherry, pink lemonade, grape). They also had sweetened condensed milk to put on top. I didn't try that, but I was so curious. 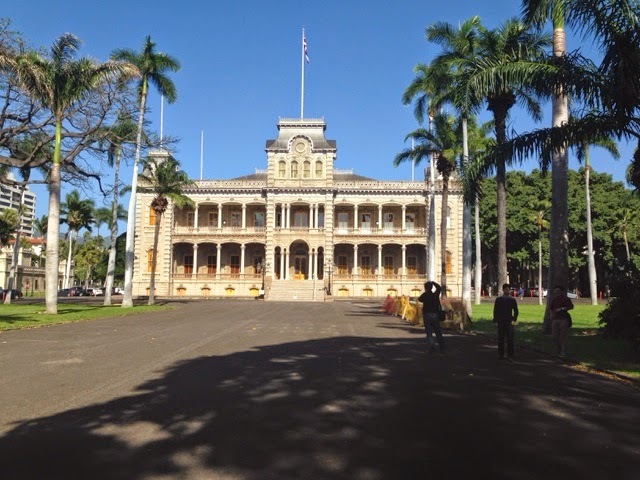 On our last day we visited the Iolani Palace in Honolulu. 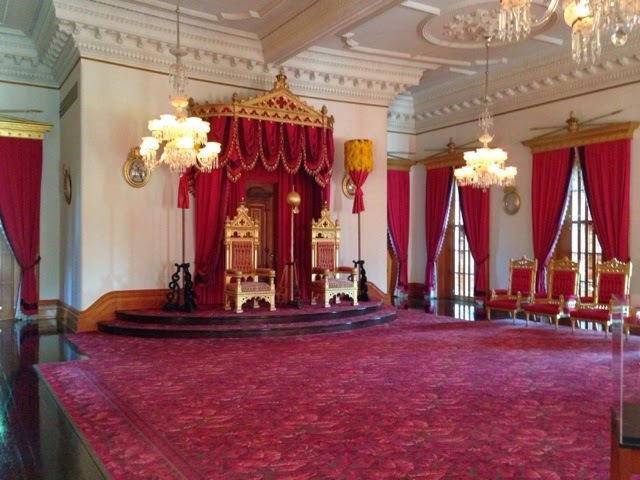 Hawaii is the only place in the US that has a royal palace. 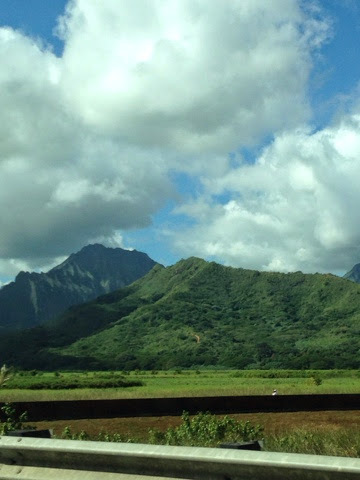 We learned a lot about the monarchy there, and how Hawaii became a state. 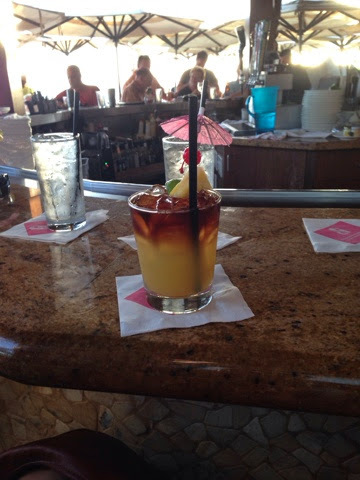 On this trip I learned that I love a Mai Tai. Our last stop before we headed to the airport was to the Royal Hawaiian Hotel in Waikiki to have one of their world famous Mai Tais. 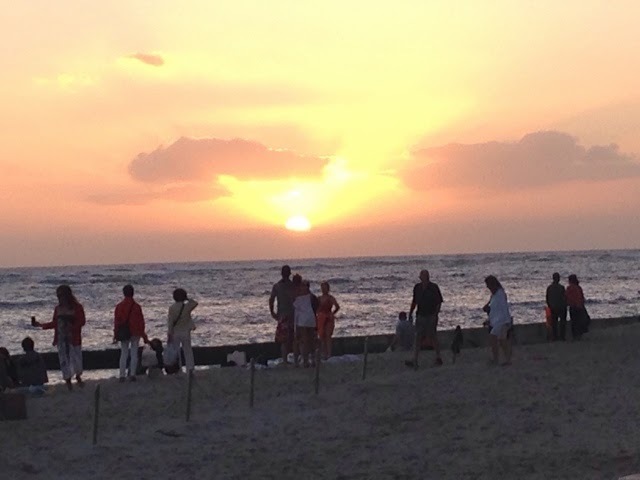 The combination of the sunset, drinks and family made it such a good end to a fabulous trip. This was one of the best vacations I've been on. I am so thankful to Dave's family for their hospitality and graciousness. We are already talking about going back at some point, but maybe this time a romantic trip for just the two of us. 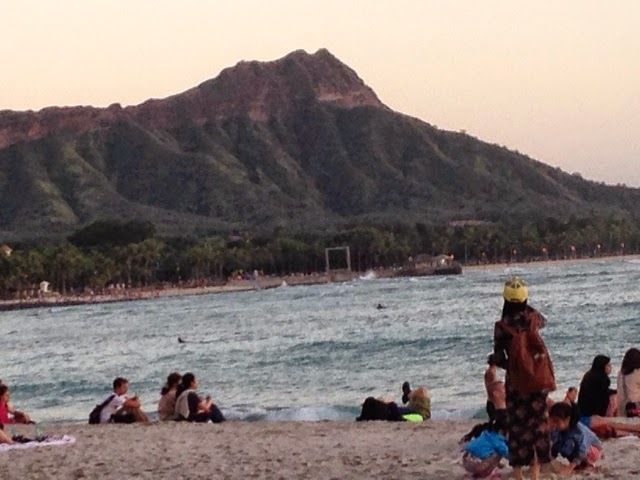 If anyone is traveling to Oahu, I can completely recomend all of the things and places I've listed here. 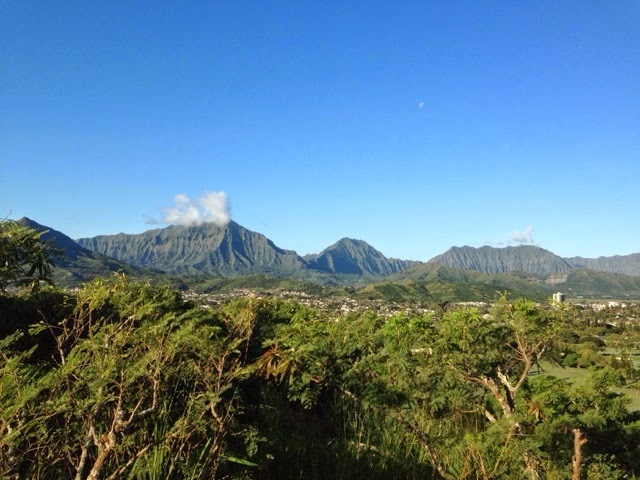 And just know that if you are planning a vacation to Hawaii right now-- I'm jealous of you. Side note: Tonight I am linking up my PB&J overnight oats to: Nifty Thrifty Things, Titi Crafty, DIY Showoff, The Girl Creative, and the Casual Craftlete. Please check out my new link party page for continued updates to linked pages!